If you want to know if compound exercises are better than isolation exercises for building muscle and strength, then you want to read this article. You want to build muscle. You want to get strong. And you want to do these things as quickly and effectively as possible. What exercises should you do and why? Ask different people and you’ll get different answers. Some will say that compound exercises are all you need. They train every muscle in your body and are “highly functional” to boot. Others will say compound exercises are overrated or even dangerous, and that the right isolation exercises can give you everything your little heart desires. Well, in this article, we’re going to find out. By the end, you’ll understand the pros and cons of both compound and isolation exercises and how you should use them in your workouts based on your goals. Let’s start with a simple question: what exactly are compound and isolation exercises? What Are the Advantages of Compound Exercises? What Are the Advantages of Isolation Exercises? A compound exercise is an exercise that involves multiple joints and muscle groups. For example, the squat involves moving the knees, ankles, and hip joint and requires a whole-body coordinated effort, with the quadriceps, hamstrings, and glutes bearing the brunt of the load. On the other hand, an exercise like the Russian Leg Curl involves moving the knees and focuses on strengthening the hamstrings and glutes. That’s why the Russian Leg Curl isn’t considered a compound exercise (it’s an isolation exercise, which we’ll talk more about in a minute). All variations of the bench press–barbell and dumbbell and flat, incline, and decline–are compound exercises. The primary muscle group trained is the chest (pectorals), but all bench pressing also heavily involves the shoulders and triceps. This exercise is also known as the military press, and it’s one of the best shoulder exercises you can do. It also trains the triceps and, when performed standing, the back and core (to some degree). When upright, the primary muscle group engaged is the triceps, and the shoulders and chest are the main assistance muscles. When slightly leaned forward, the chest becomes the primary muscle group and the triceps and shoulders assist. The deadlift is the ultimate compound exercise because it involves just about every joint and major muscle group in your body. The primary muscle groups trained, however, are known as the posterior chain (the muscles on the backside of your body, such as your hamstrings, glutes, and back muscles). Pretty much every other muscle in your body assists in the movement. The pull-up is a simple compound exercise that will never go out of style because it works. The primary muscle group is the back and the secondary muscle groups are the biceps and forearms. This is essentially a machine pull-up that allows you to specify a weight to pull. Accordingly, the primary muscle group is the back and the secondaries are the biceps and forearms. Whether a barbell, dumbbell, or machine row, it’s a compound exercise. The primary muscle group is the back, of course, and secondaries are the biceps and forearms. Like the deadlift, the squat isn’t just another compound exercises–it’s a whole-body exercises. And that goes for all variations–front squat, back squat, split squat, and so forth. It’s estimated that over 200 muscles are activated in the squat, but the primary muscle group trained is the quadriceps. When performed properly, the glutes, hamstrings, and calves are also forcefully recruited. The Leg Press is a compound exercise that requires less technical skill and stabilizing muscles than the squat. Similar to the squat, the primary muscle group trained is the quadriceps and the secondary groups are the hamstrings and glutes. As you can see, most simple movements that have you push, pull, and squat against the forces of gravity are compound exercises. You may also notice that all pushing involves the chest, shoulders, and triceps, all pulling involves the back and biceps, and squats and deadlifts involve large portions of the body. If you have some weightlifting experience under your belt, you also know that compound exercises also allow you to safely use heavy weights. An isolation exercise is one that involves just one joint and major muscle group (the participation of other muscles is limited). The biceps curl is an example of an isolation exercise because the only joint involved is the elbow and the biceps muscles to do more or less all of the work. This exercise isolates the chest but is limited by the fact that you can’t use heavy weights without putting your shoulders at risk of injury. Many bodybuilding legends like Arnold, Reg, Ronnie, and Dorian credited this exercise with helping them build their impressive chests. Research shows they were probably onto something. Like the dumbbell fly, this exercise is better suited to higher rep ranges and better done after your initial heavy pressing. This is one of the few isolation exercises that I think belongs in every bodybuilding program. It’s the simplest and best exercise for training your lateral (side) deltoids, which will fall behind your anterior (front) delts if all you do is shoulders pressing. This is a simple exercise that isolates the anterior deltoid. It can’t deliver the same results as barbell and dumbbell pressing, but it’s well suited to lighter, higher-rep work. You don’t see many people doing this exercise but it’s one of the few that allow you to isolate your lats. 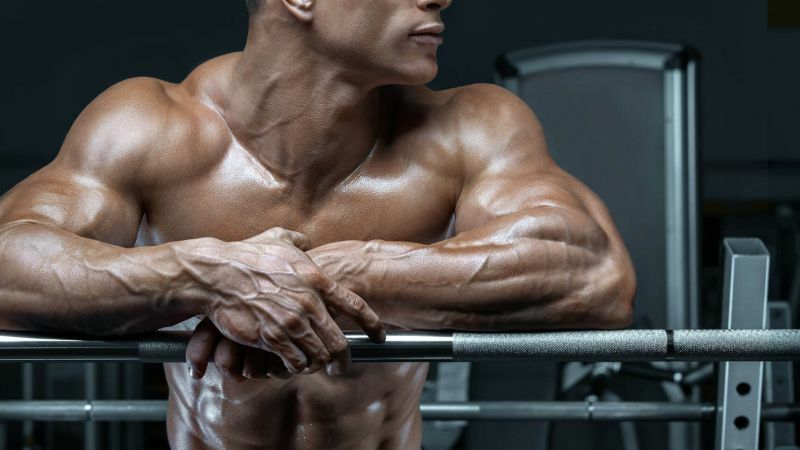 This is the simplest and most effective exercise for building bigger and stronger biceps. It places a large amount of stress on your knee joint and ligaments. It’s just not a very effective quadriceps exercise. This is an isolation exercise for the hamstrings and it’s a worthwhile addition to your legs workouts. In many ways, the calves are like the abs. The calf raise is the easiest way to isolate the calves and should be used when necessary. As you can see, movements that have you raise, curl, or extend a limb are generally isolation exercises. These exercises are also generally more suited to lighter weights and higher reps, which makes them good for periodization and controlling workout volume (more on this in a minute). One of the biggest fitness mistakes people make is underestimating the importance of compound exercises. I should know because I had to learn this lesson the hard way. When I first started lifting, I let bodybuilding magazines dictate my diet and training. That means I ate way more food (and protein) than necessary and did a lot of long (2+ hour) high-rep workouts consisting mainly of isolation exercises. I looked “okay,” I suppose, but I expected more from so many years in the gym. Soon after this picture was taken, I threw away the magazines, stopped buying supplements, and got serious about educating myself. A huge improvement, if I may say so myself. But I wanted to gain a bit more size and bring up what I felt were still weak points (my shoulders and lats in particular). As you can see, just about every aspect of my physique has dramatically improved since the beginning of my journey. I should also mention that I’m far stronger now than I ever was before. In those ~2.5 years, I added close to 100 pounds to my bench press, about the same to my military press, and doubled my squat and deadlift. And better still, I did it all in just 4 to 6 hours in the gym each week, which was about half of what I used to put in. One of the major changes in my training that helped me achieve all this was shifting my focus from isolation to compound exercises. They train many muscles at once. And the more muscles you can effectively train in a given exercise, the more overall muscle you can build as a result. They allow you to lift heavier weights. The best compound exercises put dozens of muscles and multiple joints through a large range of motion. Consequently, they enable you to move more weight than isolation exercises and thus better progressively overload your muscles. This is significant because the better you can progressively overload your muscles, the faster they grow. They significantly raise testosterone and growth hormone levels. The magnitude of post-workout elevations in anabolic hormones relates to the amount of muscle involved in the workout. This is why research shows that compound exercises produce larger increases in both testosterone and growth hormone than isolation exercises. These effects don’t influence muscle gain as much as some people would have you believe, but they do have other benefits as well. I attribute much of my success with my physique to the fact that, after learning about the power of compound exercises, I made them 70 to 80% of the work I do in the gym. That is, for several years now, 70 to 80% of the sets that I do every week are of compound exercises. I still do isolation exercises, but I now know which side my bread is buttered on. Another major change to my training was the emphasis of heavy lifting (80 to 85%+ of 1RM). I used to spend much of my training time chasing a pump with fancy techniques like drop sets, supersets, and giant sets. Use heavy weights, hit the top of my rep range (4 to 6, mainly), add weight to the bar, repeat. This, combined with sufficient weekly volume (total reps), has helped me gain a significant amount of muscle and strength. If you want to build muscle and strength as quickly as possible, you need to focus your efforts on compound exercises. If you want to know which exercises specifically and how to build a workout routine that works, check out this article. Many people would tell you that isolation exercises have no place in a real weightlifting program. That all you have to do to build a killer physique is squat, deadlift, and bench and overhead press. The first thing you must understand is every compound exercise has a prime mover that is the star of the show and will benefit most from it. Assistance (secondary) muscles can benefit as well, but not as greatly as the primary muscle groups. This means that compound exercises can create imbalances in the growth and progression of the various muscles involved. For example, if all you did for leg training was front squats, you’d likely develop an imbalance between the strength and size of your quadriceps (prime movers) and hamstrings (secondary). If you didn’t address this, you would, in time, increase the risk of hamstring injury, knee problems, and other undesirables. Another good example is the shoulder development of someone who has done nothing but overhead and bench pressing. What’s usually missing here is the round, “capped” look that frames the upper body and makes the shoulders pop off the arms. When you overhead press, the anterior deltoids are the protagonists, the lateral deltoids only assist, and the posterior deltoids aren’t involved at all. This is significant because it’s the latter two muscles–the side and rear delts–that mostly determine how “3-dimensional” our shoulders look, not the anterior deltoids. Thus, you can have tremendously strong overhead press and relatively underwhelming shoulder development as a whole. And this is where isolation exercises like the side and rear lateral raises can save the day. They allow you to train these small, hard-to-activate muscles and bring them up to snuff. Another benefit of isolation exercises is they allow you to better control volume for each muscle group. When we’re talking weightlifting, volume is the total amount of reps performed, and it’s an extremely important aspect of muscle building. If volume is too low–if you do too few reps per major muscle group per week–you’ll struggle to gain size and strength. If volume is too high, you’ll run into problems related to overtraining. Get volume right, though, and you’ll be able to gain muscle without compromising your recovery. Research shows that, when using weights in the 60 to 85% of 1RM range, optimal volume appears to be in the range of 60 to 180 reps per major muscle group per week. As you can guess, the heavier the training, the fewer reps you can and should do every week. These findings also agree with another large review conducted by researchers at Arizona State University. When lighter weights are used, more sets per week is optimal. As the weights get heavier, however, total sets must come down. For example, if you were training exclusively in the 80 to 85% of 1RM range, like you do on my Bigger Leaner Stronger program for men, you’d want to be around 60 to 80 total reps per major muscle group per week. If you were doing a low-weight, high-volume type of program, however, you’d want your weekly volume for each major muscle group to be closer to 180 reps.
And if you were doing something in between, like with my Thinner Leaner Stronger program for women, your total weekly reps would be somewhere in between as well. Now, how does all this relate to isolation exercises, you’re wondering? Well, isolation exercises allow you to increase the volume on specific muscle groups without impacting others that you need to let rest. This helps you better program your workout routine to avoid under- or overworking specific muscle groups. The dumbbell lateral raise allows you to increase volume on the lateral deltoids without putting much stress on the other muscles in your shoulders. The chest fly allows you to increase volume on the pecs without much involving the shoulders or triceps. The front raise allows you to increase volume on the anterior deltoids without involving the triceps. The hamstring curl allows you to increase volume on the hamstrings without engaging the quadriceps. Biceps, triceps, and calf exercises are all isolation movements and are the only way to directly train these muscles without increasing volume on larger muscle groups as well. This is why a well-designed weightlifting routine includes both compound and isolation exercises. The compound exercises are the foundation because they’re used to directly train and overload your major muscle groups. This helps you gain overall size and strength. Isolation exercises are then included to further develop specific muscle groups that aren’t sufficiently trained by compound exercises but that contribute greatly to your overall appearance. Cogent arguments and copious PubMed links mean nothing if you can’t use the information to get results. And that’s why I want to leave you with a few workouts to choose from that will allow you to put my “teachings” to the test. In terms of overall results, the 5-day program is better than the 4-day, which is better than the 3-day. Working sets are done with 85% of 1RM (4 to 6 rep range) unless specified otherwise. Warm-up by doing 3 to 4 sets of 8 to 10 reps with 50% of 1RM. Rest 3 to 4 minutes in between working sets. Rest 1 minute in between warm-up sets. Add weight once you hit the top of the working set rep range for one set. Rest at least one day in between each workout. Pick one of those workouts and do it for the next 8 weeks and see how your body responds. If you like what happens and you want more, then you should check out my books, which give you a 360-degree understanding of building muscle and losing fat as well as a year’s worth of workouts. No matter how you look at it, compound exercises deserve more attention than isolation exercises. If your goal is to improve athletic performance (run faster, jump higher, be more explosive, etc. ), compound exercises will deliver far better results than isolation exercises. If your goal is to improve whole-body strength, you may not need to do any isolation work whatsoever. If your goal is to build muscle and look good, you’ll get there quickest by focusing on compound exercises and supplementing with isolation exercises where needed. The only sensible reasons to emphasize isolation exercises would be related to injury and/or age, but even then compound exercises may still be the better choice. 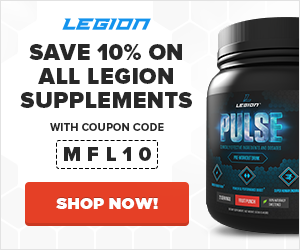 What’s your take on compound and isolation exercises? Have anything else to share? Let me know in the comments below!